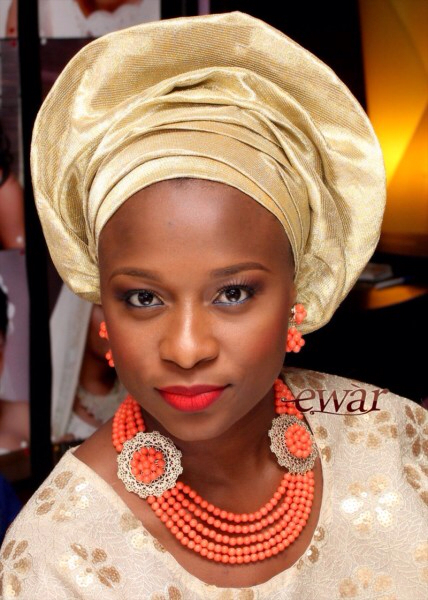 A few weeks back, I stumbled on to the " how to tie your gele" video by Ewar makeovers via another blog. I was impressed by the quality of the video and also the gentle beauty of the lady. I promptly subscribed and anytime I have been on YouTube since then, I have checked to see whether or not she had uploaded another video. I was waiting for something great, something more from her. I was very saddened to read that she had died after childbirth last Wednesday. May her soul rest in perfect peace. All the outpouring of kind words and of grief over her death is testimony to the fact that she was a special lady. Maternal mortality can happen anywhere, as there are sometimes unforeseen complications that arise and after all doctors are only human. That being said the maternal mortality rate in Nigeria is atrocious. I read somewhere that every 1 in every 13 women die during childbirth. In. 2013. 1 in every 13. May God help us. But it is not enough for God to help us, we have to help ourselves too, and fight for better conditions in our health care system, to push away the same mediocrity that has eaten away at the very fabric of our society in all aspects. It could have been you, or me. And it can still be. No one knows tomorrow. Let us fight for reforms in maternal care in Nigeria. May God grant the loved ones of Adenike Ogungbe ( nee Kareem) the fortitude to bear the great loss.